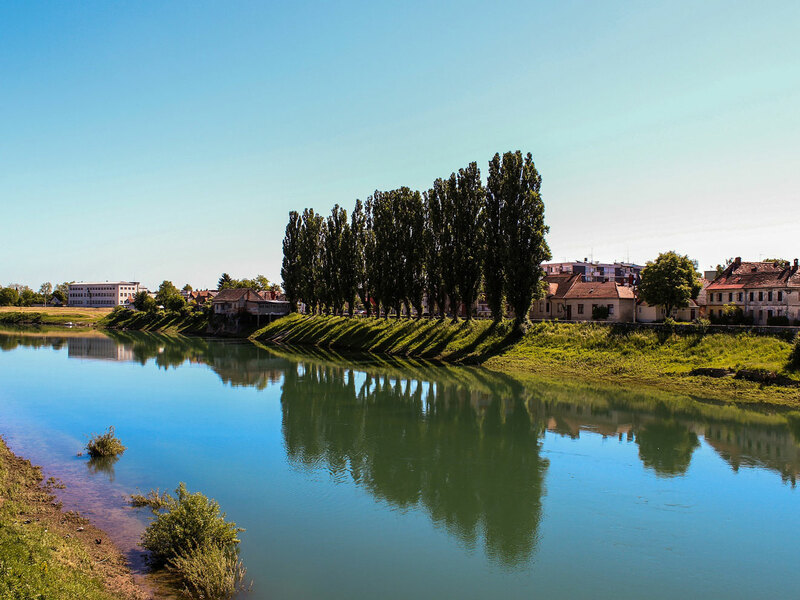 The city of Karlovac is located about 1 hour from Zagreb, the capital of Croatia. And is a great stop point if you are traveling from Venice, Ljubljana or Zagreb towards the Dalmatian coast or Plitvice Lakes National Park. And, of course, this also counts if you are coming from the coast or from Plitvice Lakes. Karlovac has an incredibly strategic location. About 1h30 from Crikvenica, the closest beach, and the same time from Sljeme, the main Zagreb mountain. Karlovac is known as the City of 4 Rivers and City of Parks. City of rivers because there are 4 rivers around and inside the town. Kupa and Korana River are inside the city, and Mrežnica and Dobra flow around the city. This natural fact makes the city even more special. The atmosphere of nature and green life is all over the town. During summer most of the people swim in all the four rivers. They are all clean and good for swimming. Korana is the most famous one for summer activities. The “beach” of the city is called Foginovo, where there is a lot of infrastructures. In Foginovo there are volleyball courts, a running track, playground for kids, exercises instruments for grown-ups and of, course, a diving board. The river is mainly deep, except in the kid’s area, so you can also count with the help and safety of the citie’s lifeguard. The city also provides some floating toys and objects, to make the summer even more fun for the teenagers and visitors. Korana river is the same river that passes in the stunning Plitvice Lakes National Park. That is a curiosity that most of the tourists don’t know. It’s also important to highlight that in the main swimming areas there is no danger of river’s swirl. Also, even though there are lots of fishes in the rivers, there are no dangerous animals in the water like alligators, crocodiles, poisoned snakes and so on. Karlovac is also known as the City or Parks because it does have lots and lots of green area. Going around the whole city is like strolling in a huge green park. There are trees, grass, and flowers everywhere. The city also hosts a unique kind of aquarium the Akvatika, a Fresh Water Aquarium. The idea of the place is to develop awareness about biological diversity. And, at the same time, to educate visitors about the species that can found in Croatia. The whole aquarium was constructed in a way that the path flow, follows the flow of the rivers until getting to the sea. Besides the aquarium, the place also offers playground for kids on the outside, a cafe, and a multi-function hall for events. Attention to the souvenir shop of the Akvatika. You will find incredible homemade art from Karlovac and region. They do have various unique art crafts that cannot be found anywhere else in town. Besides bringing a piece of Karlovac with you, you will be helping the local community. Besides all the nature, Karlovac is also full of history. The city was built from the scratch by the Austrians in 1579. And the whole point was to strengthen their southern defenses against Ottoman encroaches. Karlovac was founded as a six-pointed star fortress. And the unique star shape can still be seen around the town until today. Besides the wall protection, the city also had water channels about 9meters deep to avoid the enemies. Unfortunately, the walls of the star are not preserved. But you can still see where they were along a 2km walk path. The channels, on the other hand, are still visible today. They are not anymore as deep as they once were, but they became incredible green parks all over the town. During winters the channels are the favorite place of the kids, for sliding in the snow. 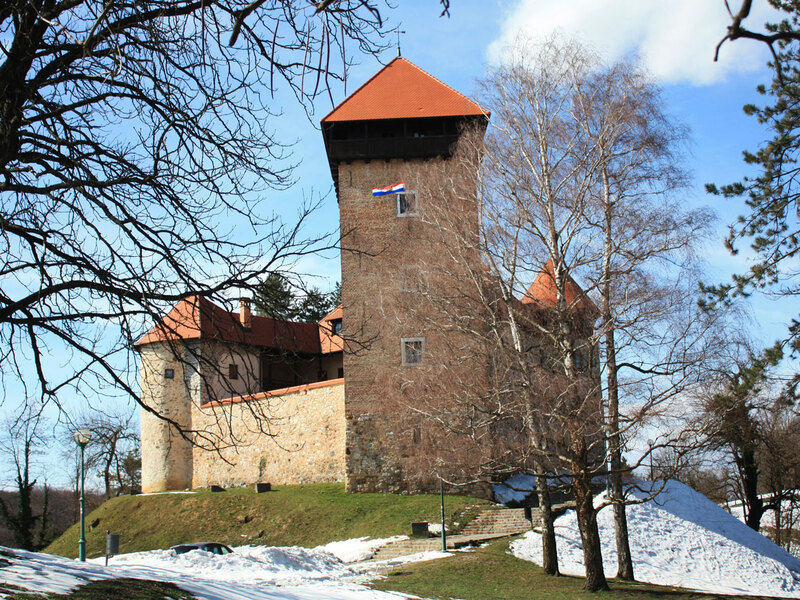 Dubovac Castle is on Karlovac Old Town. It is a beautiful and well-preserved castle that dates from the end of 12th or beginning of the 13th century. Over the years the castle was the private property of various noble families. But in the recent years, the Castle became a city’s property. It has a very nice museum that explains the transformation of the castle and the city over the years. There is an entrance fee but it’s a very reasonable price, almost like a symbolic fee. Besides seeing the history of Karlovac, climbing up to the tower you will arrive at the balcony. It has a stunning view of the whole city. In 2017 the Dubovac Castle got even more interesting. 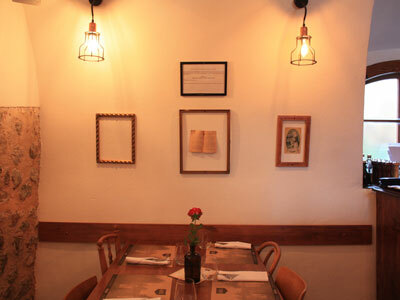 Now the property also hosts a Bistro Restaurant. Kastel Bistro has great food and delicious desserts! The nicest thing is that before this space was closed and not used at all. And now, besides having great options of food, the inside part of the castle is still fully preserved and keeps its original atmosphere. 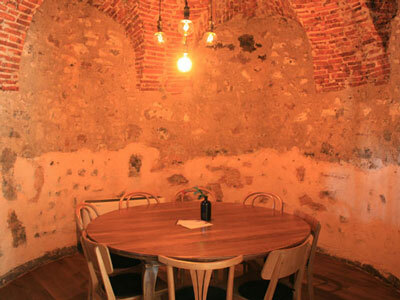 So besides visiting the museum, having the best view of town you can also enjoy some great food and immerse yourself in this cozy medieval atmosphere. Kastel Bistro and restaurant – at Stari Grad Dubovac – for the best desserts in town and amazing food! 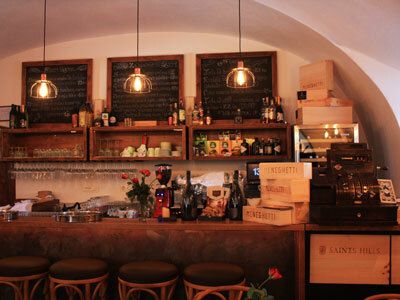 Yummy Street Bar – on Korzo, the citie’s main street – if you are looking for delicious pancakes! Monalisa Pizzeria – at the citie’s Old star or delivery – for the best pizza in town. 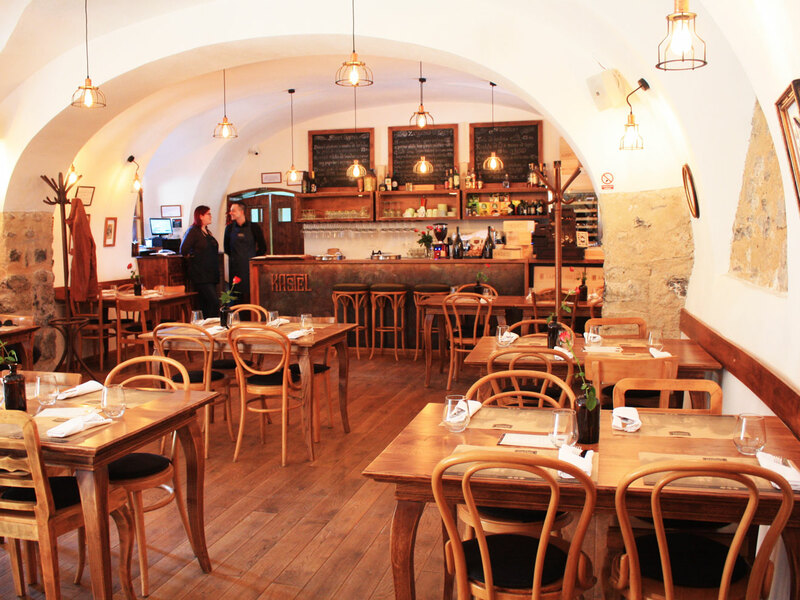 Mandic Restoran – in the new part of the city – for great local food. Besides being a green city, Karlovac also offers different kinds of events for its citizens and visitors all over the year. Last year the Advent was an incredible event, full of music, local food, and great atmosphere. The town also hosts every year the Dani Piva, the Beer National Festival. A free public event that lasts about 10 days with great concerts, local food, and of course, beer. Another great event that happens every September as a local tradition is the 4 Rivers Winner Show, organized by Cacib Karlovac. The event receives every year more than 3.000 dog show lovers and around 800 dogs. It’s a great pride for the city, especially because people from all over Europe join us during the event. Considering Karlovac great location, you can manage to do a lot of different day trips. Here are some ideas and distances. And if you wanna go further and continue your trip, here are also some inspirations. Last but not least, Karlovac is the city where the famous Karlovačko beer is made. If you are visiting Croatia or the region, chances are you have already tasted or seen that beer out there. Here in Croatia, as in some other European countries, there is a tradition that each city produces its own beer. Thus, Karlovačko is the beer produced in Karlovac, and Ožujsko is the beer of Zagreb.